REEBOK CROSSFIT GRAPHIC TEE SHIRT. Reebok CrossFit Graphic Tee. Z89676 REEBOK DT GRAPHIC CREW T-SHIRT HIVIGR. Slim fit - wears close to the body, ideal for high-performance exercise. COLOUR : YELLOW. 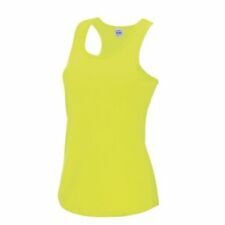 Nike Dri Fit Running Top Bra Size S Neon Green/Yellow. Dispatched with Royal Mail 1st Class. Electric Yellow. Fabletics Tank Top Size Large. Dispatched with Royal Mail 2nd Class. Karrimor Ladies Running - Gym Top Size 14 Black Yellow Zip Active Wear Workout. Condition is New with tags. Dispatched with Royal Mail 2nd Class. 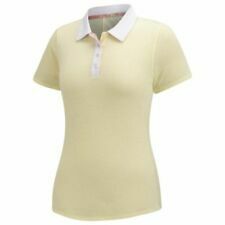 lululemon Womens Long Sleve Top Size 4 (UK 8). Dispatched with Royal Mail 1st Class. 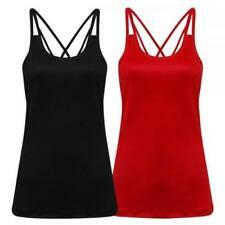 Sweaty Betty Size XS 3 x Gym tops Yellow/Orange/Red. Condition is Used. Dispatched with Royal Mail 1st Class. Stunning Top issued to the pro athletes of the Bahamas in the 2014/15 Seasons. Ivy Park Mustard Yellow Crop Top Size S. worn only once. Close fitting stretchy top. Please note that I require payment within 2 days of the auction ending. If you cannot meet this request please contact me before placing a bid. Nike Pro Hypercool Crop Top in Volt Yellow, Size XS, New With Tags. Training, gym, weight lifting. Ladies hoodies size 16 Adidas. Condition is Used. Dispatched with Royal Mail 1st Class. Never before used. Suitable for male or female. Women's M / Men's S. Straight fit. 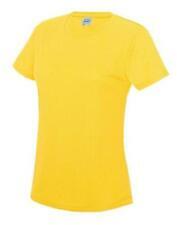 Nike Dri Fit Illuminus Yellow Bra Top . Dispatched with Royal Mail 1st Class. Nike Dry Fit Top - Size M. Condition is Used. Dispatched with Hermes. Iluminous Yellow colour, build in support. I am selling due to downsizing my wardrobe. 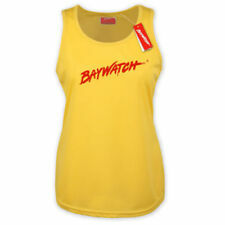 Ladies Black & Yellow Exercise Top Size 18. Condition is Used. Dispatched with Royal Mail 2nd Class signed for. Excellent used condition as barely worn. Thought you were settled into family life, both of you. Please stop this before someone gets hurt; you’ve got the kids in there remember.